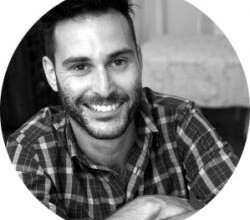 Alon Lichtenstein is a Cape Town based entrepreneur who sees looking forward the key to success. Experienced with building and packaging startups around the world, Alon is also the founder of HANGAR49 , a platform that aims to solve human problems using technology-based solutions, which he eventually takes to market. We caught up with Alon to discuss the impact that technology and coworking space are having on the South Africa ecosystem, and what can be done to strengthen these new models of work. Hi Alon, can you please tell us a bit more about HANGAR49? The initial intention is a platform where corporates investigate R&D, or innovation using 3rd party aspiring founders in the market. Essentially corporates can login to pitch their problem anonymously. They would then then develop an ecosystem and would be presented with solutions. So, that was my original plan for HANGAR49, but after coming back from traveling in the EU, UK and also the States, I was inspired by the opportunity of being more dynamic and actually creating these solutions, which were difficult to implement in South Africa. Why was it difficult for you to bring a more dynamic business plan into the South African ecosystem? The South African landscape is still relatively conservative from a business perspective, and the market there is in its nature, slightly smaller. While there are many aspirant individuals and projects, these applications don’t receive so much government support like they would in other major urban environments. In general the more commercial landscape makes it difficult to build up disruptive and innovative business at the moment. What could businesses in South Africa do to open up more opportunities? Today South Africa is purporting to be smart and intelligent, which it is, but we are experiencing a bit of a brain drain, and still not enough capital distribution and a lack of resources. Also, because of conservative tendencies in the business world, corporates are not taking advantage of technology and lean approaches to business or even being as tenacious as they could and need to be. I think that there’s a lot of rhetoric around this so we need to make a move to open up these platforms on a state level and a corporate one. Do you think the emergence of coworking spaces will play a role in changing the current rigid business ecosystem? I think that there’s an interesting characteristic found within the regions freelancers, which is probably a result of the history, which is that they are progressive individuals who are not finding opportunity in innovative commercial settings, as they would like. As a result these potential change makers are still led towards to more traditional titles, and at the same time, the labor legislation is pretty sophisticated and there is a high level of protection for employees, which can also keep things stagnant. So would that be a reason why people might be apprehensive towards coworking? Well, it’s a pretty new infrastructure, which is also incredibly progressive, but there’s also a lack of security in this type of environment. Yet the more traditional model can create stagnation in regards to expansion or contraction on need to need basis. Thus there is a strong support for coworking spaces currently growing, especially in South Africa. 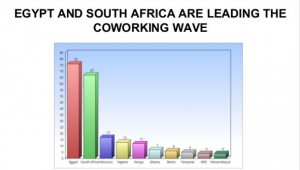 Is coworking doing well in South Africa? South Africa is a first world economy and it is probably older and more sophisticated compared to others in Africa. Companies over the past ten years have seen the ways in which doing business today has become expensive and therefore view coworking spaces in an opportunity. As we are primarily focused on the service industry tech agencies, creative agencies are operating more from within coworking spaces, which is a far more flexible and enjoyable environment. As an entrepreneur, why are coworking spaces so attractive to scaling up business and ensuring professional success? And would you yourself use the coworking space model? What I would love to do is have a coworking space as a location, have corporates, who are part of a mid-tier business plan, who is probably in need of some technology in their back pocket. They probably wouldn’t have the cash flow to sit back and watch the business come in, so they would be more innovative and willing to hustle. The coworking space platform would be perfect for this, as it is an ideal place to bring in fast moving, smart dynamic young people who understands technology and to help leverage these client’s businesses. To succeed today on a global level, you’ve got to embrace really smart tenacious thinkers, who will not get bogged down bound down by procedure, and bureaucratic rules and solutions to problems and obstacles in the business world will be able to emerge more naturally. As 2016 is already warming up, and the next major Coworking meetups are already are on the horizon, we look back to how far we have come so far in 2016. Presented at the last Coworking African meetup 2016, in Cape Town, Vanessa Sans of Social Workplaces gave a keynote exploring the coworking boom in Africa, titled: “Coworking in Africa-Facts and Figures”. Vanessa discussed the steady growth of coworking worldwide, highlighting that the average coworking space has approximately 46% more members than it did two years ago. Today, there are about half a million people in total working out of coworking spaces. What’s even more positive, is that this increase in memberships and spaces has not led people to feel that they are in a more isolated work environment. In Vanessa’s presentation, “Coworking in Africa-Facts and Figures”, she goes back to 2013, when the coworking scene in Africa was barely visible on the global coworking map. According to The Global Coworking Census, there were only 24 spaces at the time. Fast forward 2 years and there are now over 250 active spaces, comprised of both hubs and coworking spaces. All of this information shows us that the African movement is on the same track that Europe and the USA were 5 years ago, showing promise that coworking in Africa is not going anywhere. Today, Egypt is leading the way with around 76 spaces, but we can guess that there may be more. 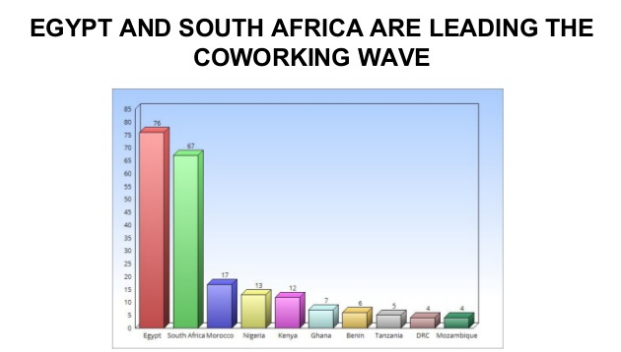 Egypt is then followed by South Africa with 67 coworking spaces, in which more than half of these spaces can be found in Cape Town. In 3rd position is Morocco with 17, followed by Nigeria with 13 and Kenya with 12. Still today there are several critical issues that Africa is working on overcoming, such as the lack of quality infrastructure and strong internet connectivity. Since 75% of the population is under the age of 30 there is now an entire whole generation of talent currently looking to get their career off the ground, thus these issues have become a priority for innovators and entrepreneurs in Africa. With a more connected and innovative economy growing rapidly in Africa, coworking has proven to be an essential tool for young entrepreneurs, allowing them access to valuable resources, skills, knowledge, and job opportunities. In fact, thanks to mobile technologies, Africa is one of the most connected populations in the world, and coworking has provided the space and value system upon which local entrepreneurial communities can develop. Today, with more and more spaces popping up, the African coworking ecosystem is now prepared to connect to these other communities to strengthen, which also creates potential for global collaboration as well. Overall Vanessa’s presentation outlines the steps the coworking movement in Africa has taken to get to where it is today, with a growing number of collaborative spaces that can now offer the proper conditions and infrastructure needed for professional growth in Africa. Today, the African coworking community sees open and collaborative spaces as the bedrock of various local ecosystems comprised of entrepreneurs who are shaping the future of modern, digital-friendly tech-savvy economies. Paul Keursten, founder of the OPEN coworking network based in South Africa recently explored the various benefits that come from connecting coworking spaces. His presentation, “Opportunities and benefits of connecting spaces across the continent”, given at the last Coworking Africa 2016 meetup, looks at the role of entrepreneurship, connectivity, and also the implementation of virtual platforms aimed to help better serve their members. The goal of connecting coworking communities is to “contribute to meaningful solutions and development” by constructing a platform that will be a living network that is both supportive and sustainable, much like a coral reef. This connection is sparked from a need to find solutions found within the current workplace culture. Today’s workplace is becoming increasingly defined by innovation, which is transforming not only the way that we work but also how we understand property models. In regards to physical space, connecting coworking spaces doesn’t only have social benefits, but also many environmental ones. A smarter use of space can save on energy, resources and breathe new life into neighborhoods. When you nurture innovation and take action, this enables individuals to create natural productive communities. As Paul noted in his presentation, an important part of this connection is breeding innovation by creating diverse environments, or “connecting worlds” that include everyone from entrepreneurs to policy makers, who will inspire one another. Paul’s presentation also strengthens the point that coworking communities where trust, sharing knowledge exchange are easily accessible, are drivers of change. Through creating space for change, there is more room for innovation and job creation. Another important aspect of connected coworking communities is that they go beyond individual success. A connected professional ecosystem strives to be apolitical, as competition is taken out of the equation. This dynamic allows for there to be a level playing field for all types of professionals. An active and equal community can work together to find build solutions to problems as a team, such as exploring economic, social, cultural, geographical, and professional growth. The final point of the presentation looked at the way in which connected coworking communities can also manifest themselves into virtual platforms. At OPEN, their virtual community allows members to have access to practical needs at affordable prices, such as room bookings, while also accessing a strong social network. As coworking rapidly matures, space operators are no longer worrying as much about next month’s rent or how to attract more members; they are now putting their focus on the bigger picture, such as potential partnerships and corporate collaborations. At the recent Coworking Africa meetup in Cape Town, Lauren Wallett of Silicon Cape, a well-established community of techentrepreneurs, developers, creatives, angel investors, and VC’s was one of the keynote speakers. She gave a presentation that looked at the bigger picture. Titled and how we can further these relationships”, the presentation highlighted some of the ways that coworking spaces can best work together, such as exchange programs, sharing resources and hosting co-events. One of the main points was engagement and the importance cultivating a rich social network, both online and in your coworking space. Some of the ways that this can be achieved is to have an active blog/social media presence, which will act as a digital platform from which your members and potential members can stay connected, updated and informed. Communication is also a key element of fostering success in the physical workplace and building trust through sharing and growing, collaboration can come as the next natural step. Regular meetups and community events that aim to share important resources help deepen personal and professional relationships. In order to create strong partnerships, Silicon Cape gave an overview of the types of programs that can be implemented, such as meetups, blog accelerator programs, or even being the part of a bigger network like the Coworking Visa Map or the SA directory for coworking spaces, which was launched by Silicon Cape. On February 5th the second Coworking Africa meetup took place at the Design Bank in Cape Town, bringing with it inspiring presentations from influencers and innovators from the South African community. In order to continue to develop we are sharing with you, our beloved community, the keynote presentations from the event. Ian Merrington from one of South Africa’s oldest innovation hubs, The Barn, shared with Coworking Africa some important insights regarding growth and sustainability within the tech and innovation sector. His presentation “How Important is Coworking to the Creation of a Thriving Ecosystem of digital Entrepreneurs” begged the question: What can we do as a community to make these growing sectors self-sufficient and long lasting. The presentation highlighted the most important steps innovators and coworkers need to take to create such a community, like functional infrastructure that also includes strong internet connectivity. Once this is established it is essential to nurture the environment, making room for personal connections productivity and open collaboration. Another important focus is to have a mix of tenants, establishing key partnerships, as the Barn has done with big players like Barclays, Bitcoin Academy, and Telekom. Already 15 years old, The Barn covers the basics, and today they strive towards developing a globally competitive tech and innovation sector, that will ultimately enable sustainable economic growth, in addition to an increase in job opportunities. As the coworking movement has greatly advanced, there are more options than ever before that we can use to develop a strong ecosystem. With the right mix of tenants, support and specialized hubs Ian shows up the elements he predicts will creative a thriving collaborative ecosystem in 2016! Coworking Africa media partner and friend Smart Monkey TV interviewed Emmanuel Mbisimo, community manager of jHub. JHub is the first Technology Hub in Juba, South Sudan. The project born in 2015. « jHUB will be home for the youth to give them access to a Coworking space, electricity, high-speed Internet as well as mentorship and business development skills« , according to TechMoran. In the video interview, Emmanuel explains how it was launched out of a Peace Hack Camp; the events its has organised; its Open Solar event; the kind of start-ups it’s fostering; and the importance of peace for more start-ups to develop.dd. As other TechHubs in Africa, jHub aims to contribute to build up a community taking part in the re-construction of South Sudan. On February 5th, the second Coworking Africa Meetup was hosted at The Design Bank space in Cape Town. Around 30 from South Africa gathered at the meetup to discuss best practices regarding how to strengthen the global and local coworking movement in Africa. In 2013, coworking in Africa was barely visible on the global coworking map, with only 24 spaces according to The Global Coworking Sensus. Today, it’s a different story. So far, the number of spaces have more than tripled in the last 2 years, with over 300 spaces (hubs and coworking) currently in operation. We can safely say that the African movement is on the same track that Europe and the USA were 5 years ago and that coworking is here to stay. Thus the next logical step via the Coworking Africa network is to support the growth of African coworking communities by fostering knowledge, sharing and collaboration. 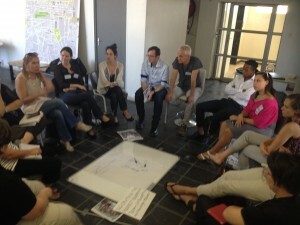 The 2016 event aimed to explore ways in which we can nurture South African relationships in order to connect spaces between local communities of freelancers, entrepreneurs and innovators, in addition to focusing on what we can do to stimulate collaborations, exchanges, social and business opportunities for members in South Africa. We put focus in this region, as it is currently leading the coworking movement throughout the African continent, with around 53 established spaces out of total number of 340 coworking spaces according to Global Enterprise research. Steven Harris from The Design Bank opened up the meetup by welcoming the coworking community and telling the Design Bank story. He led attendees through the space philosophy, explaining why they were more than just a coworking and maker space, by showing their various innovative recycling initiatives. The first keynote was presented by David van Berkel, owner of the first and only coworking space in Pretoria, Grounded at Echo. David introduced the South African coworking scene, continuing to give a complete overview while highlighting the challenges that the country has faced due to the lack of coworking awareness, wrapping things up by discussing the specific barriers needed to be broken to get entrepreneurship participation through collaboration. Lauren Wallett from Sillicon Cape, a tech community based in Cape Town, also gave some examples about how coworking spaces can work together and presented a new project: Coworking South Africa, the first coworking directory in the region. Ian Merrington from The Barn, one of the oldest tech hubs in Africa based in Cape Town, explained in his presentation “How important is coworking to the creation of a thriving ecosystem of digital entrepreneurs” that developing a globally competitive tech and innovation sector can enable sustainable economic growth while also providing greater employment. Vanessa Sans of Coworking Europe, the biggest regarding the coworking movement, presented the most recent data of coworking in Africa, and also demonstrated the way that coworking conferences have enabled thousands of coworking communities around the world to be in touch with one another. She also discussed the importance of conversation and a network of trust between coworking communities that can benefit to all the players, as it has been demonstrated in Europe and in North America over the last 6 years. Last but not the least, Paul Kersten from Open, a coworking brand with 3 established spaces in South Africa and with a new one coming soon, explained how through Open they are providing opportunities and benefits to their community by connecting worlds and creating ecosystems between different players such as entrepreneurs, corporations and professionals. He explained that building and connecting communities where trust, sharing and ideas can flourish, and where people are equal in a playing field that is accessible to all participants. Keep updated as all presentations will be published in the coming weeks. Coworking is often considered to be a conduit to address various needs faced by communities, whether that be the lack of affordable infrastructure, community and support. For today’s freelancers, entrepreneurs and creative thinkers, coworking spaces have been a godsend, helping individuals to avoid isolation and find success in their professional lives. Yet, aside from the professional benefits, the coworking concept has been also been considered by some to be a valuable tool in addressing social issues. Entrepreneurs, Vasili Sofiadellis and Paul Keursten, have realized the potential of utilizing coworking a social tool, and have recently announced their plans to open a coworking space that will cater to the needs of the countless individuals suffering from the current refugee crisis. In October of 2015, they travelled together to Lesvos in Greece, an area of Europe that has witnessed one of the greatest concentration of refugees, the majority of them fleeing from Syria. We spoke with Vasili about their experience in Lesvos and how they plan to move forward with this inspiring space. Hi, Vasili. Can you please tell us a bit about your (and Paul’s) experience with coworking and what led you ultimately travel to Lesvos? I am a South African Greek National, based in Cape Town, and I have been visiting the birthplace of my parents, Lesvos, every year for the past 10 years. I have my own company, from which I plan to launch a socially oriented health tech accelerator. Previously, I was running a PriceWaterhouseCoopers office within a local tech incubator and coworking space. In addition to my own projects, I am also a board member of the Silicon Cape Initiative, which is a not for profit entity focusing on supporting tech entrepreneurs. I am also a founding crew member of the StartupBoat, an initiative to find tech solutions for the refugee crisis. In 2015, We traveled to Greece twice with the goal of finding ways to support this crisis. My colleague, Dr. Paul Keursten is an entrepreneur and consultant, who places innovation, entrepreneurship and learning at the core of his work. Paul focuses on supporting others to fully develop and utilize their talents in order to achieve success and contribute to a better world. Together with Mark Seftel, Paul started OPEN, a collaborative workspace company that designs, builds and manages coworking and innovation spaces across South Africa. Paul’s work in OPEN builds on the experience he gained in Maliebaan45, launched in 2008, which was the first high-end, boutique coworking space in the Netherlands. At the 2015 Coworking Europe conference in Milan, you and Paul presented your idea to create a coworking space that would cater to refugees. Can you please tell us a bit about the concept, and also about some of the ideas that you came up with at the unconference? I work from Paul’s coworking space here in Cape Town, and upon returning from Greece, Paul and I discussed the refugee crisis. Paul was immediately keen to set up a coworking space in Lesvos through which we could create an enabling environment. At the unconference, we presented our idea to several representatives of the coworking community who are very interested in supporting our project. You cited that when you visited Lesvos you were inspired to start this project. What were some of the stories that you heard while visiting with refugees? Firstly, what stood out was how amazing these people were. Not one of them wanted to leave their homes, which really brings home the point that they had no choice in the matter. Secondly, many of them were highly educated and had their own financial independence. One man, an industrial engineer, shared his story with us, explaining that all he wanted was to be safe and to find his wife and daughter, whom he was forced to leave behind. He had moved twice while in Syria, but was ultimately forced to leave. We also met a man, and his three beautiful daughters, whose wife had stayed behind with the youngest child because he did not want to get onto a boat. All three of his daughters spoke English, and were studying at university. What were some specific needs that you discovered while meeting with refugees in Lesvos? The immediate needs were for wifi and electricity to charge their phones. They wanted to communicate with their loved ones. We notice that every refugee had a smartphone. Secondly, the biggest need was for people to recognize the tough road and many challenges that the refugees faced. It is important to acknowledge their bravery for undertaking this journey into the deep unknown! When these people arrive, they are celebrating with tears of joy for arriving safely in Europe and also the prospect for a better future. Many have lost not only all of their belongings, but also family members and loved ones. It was completely inspiring to see the sheer determination and optimism these individuals carry, as they have the attitude that the glass is always half full. After arriving on shore and celebrating, most refugees then walk for over 72 km to reach Mytilini. Many of them have no idea what awaits them or how they’re going to get there, but the one thing that they do know, is that they are going to get there no matter what (« there » being mostly Germany and Sweden). You mentioned that many of the refugees were entrepreneurs, what did they say were their biggest obstacles? My opinion of an entrepreneur is someone who perseveres in that which he believes in. This was not more evident than it was in the determination of these refugees. I have new-found respect for the Syrians of whom I was fortunate enough to meet. I am certain, that given half a chance to run a business, or any other opportunity, these people will succeed with flying colors! It is imperative for Europe not only embrace these people, but to also create an enabling environment for these inspiring people to integrate into communities and provide them with the opportunities through which they can become self sustainable. As coworking is based on a value system that is primarily inclusive, a shared and supportive space seems to be the perfect place to start such an initiative. But, as with everything, there are inevitable obstacles and there often has to be a long-term goal set in order to build a successful platform. What are some of the ideas you have that would help refugees to become self-sufficient? These are very determined people. The ideal scenario would be for them to present their ideas to angel investors / VC’s who would fund some of their ideas in partnership with local entrepreneurs, such as joint solutions that could be co-founded. One example could be to fund a Syrian refugee to start a local restaurant. In Lesvos, we will look at the possibility of holding a hackathon which will be attended by local Aegean University students, tech entrepreneurs, local NGOs, and, of course, refugees. The objective would be to create tech solutions for the NGO, in addition to other challenges with teams that would be inclusive. What types of programs would you offer in order to support this community and have you had thought of making potential partnerships with other aid organizations, or even coworking spaces for that matter? The overall idea is to raise funding for these solutions to be “incubated” within the coworking space for at least a three month period. We would also encourage a large corporation to set up an office in Lesvos that would ideally be focused on tech skills for an R&D centre and also to look to attract refugees that have these skills to Lesvos. We also plan to have a “quick” assessment of the various skills that refugees have, as an attempt to relocate them to areas where their skills are required. As we do this, we would also look to teach software skills to those that are interested, as these skills can be used irrespective of where you are. We have had various discussions, and also met with one of the leading NGO organisations, thus we would most certainly look to collaborate with all stakeholders. The Mayor, Mr Galynos, has truly been exceptional and in general very supportive. His vision is to transform the island into a place where “Pain is turned into Hope”. Would you make it a priority to help integrate the refugees into the greater community? If so, what would be some of the ways you would do so, and do you think this would be effective in order to achieve long-term success? It is imperative to integrate the communities, and we believe that through jointly funding initiatives this would be a good way to achieve integration. A bi-annual event where sports and cultural activities are celebrated would also be very important. It’s vital that people recognize that we are all global citizens, or at least we should strive towards this mind set. We should also look to celebrate, as soon as possible, success and feel good stories of integration between the different cultures and refugees. Do you think that this initiative could help to change some of the negative perception people have of refugees, which often pushed by widespread divisive media coverage? Absolutely, no doubt. In fact, we need to raise awareness in the media of who these people are and their brave journeys. It is not possible for someone to understand this without actually speaking to the refugees. The minute you speak to the first refugee and hear their story, it’s simply not humanly possible to not be touched and inspired. It makes you want to make a difference and help in whatever way you can. The minute I met the first refugee, it changed my life right then and there. It’s out of pure ignorance that I did not act sooner. This is a crisis. Every person needs to assist, and this crisis could be considered as a golden opportunity to transform Europe and the world. Our actions today will determine what our future will look like. Lastly, I would also like to add that the people of Greece have been nothing short of exceptional. Whilst undergoing one of the most severe financial crisis in its history, with the highest suicide rates ever, the people of Greece have recognized that the needs of these unfortunate are greater than what their needs are and have been acting accordingly. It is simply amazing and they should and will be recognized for this. They have shown us what humanity is, and should be about. An event is to take place in Lesvos later this year to share and launch the project. Details will be announced in WEF in Davos on the 20th of January 2016. As the tech community in Africa continues to rapidly grow, various accelerators, coworking spaces and hubs are joining the movement to offer the next generation of entrepreneurs a place to call home. Afrilabs, is one of the biggest networks helping the movement to mature. Comprised of 40 technology hubs in over 20 different countries, Afrilabs aims to build innovative infrastructure that will help this budding community to reach its full potential. Michael Oluwagbemi, Chair of AfriLabs, as well as Executive Partner at LoftyInc Allied Partners Limited and operator of Wennovation Hub accelerator platform in Nigeria, spoke with Coworking Africa about why it’s so important to connect innovators and entrepreneurs across Africa. The African continent has one of the fastest growing technology sectors in the world. Can you tell us a bit about the development of tech in Africa and why it plays such an important role in the growing professional sector? Technology is the heart and soul of the « Africa Rising » story. This has been driven primarily by the introduction of mobile, development of cloud-based tools, and an increasing access to social media and networking platforms. All these have been positive for Africa’s mobile-first generation, and have an increasing effect on not just careers and economies, but even governments and the political sphere. The emergence of hubs and coworking spaces has served as platforms for the growth of African tech. Why is it so important for there to be physical spaces, rather than simply doing everything digitally? What do hubs give professionals that they might not have otherwise? The workspace is the tech community nod to the overwhelming need for human contact and interaction despite capability to build and work virtually. Yes, we may not need massive skyscrapers, and boring cubicles and paneled offices any longer to be a company, but you still need human interaction and collaboration to solve massive social challenges. Hubs provide that physical space, a thriving ecosystem for innovation that is replacing the tearoom with the geek space. They also provide much-needed infrastructure like internet, video conferencing tools, mentorship and access to funds at much lower cost due to the shared service concept. Can you tell us about some of the startups and initiatives that have been born out of Afrilabs? AfriLabs is an organization of organizations. We are here to support innovation centers and hubs that support their local economies. These platforms need our support so they can, in turn, support entrepreneurs and start-ups. In between our 40 members, we support hundreds if not thousands of startups every year. The network consists of 40 hubs across 20 countries. How does your network meet the needs of unique communities? What types of support/programs do you offer and do you change your methodology to meet the needs of communities that might need more/less guidance compared to more developed ones? AfriLabs has been focused on knowledge sharing to enhance the effectiveness and sustainability of our members. We’ve held webinars, international gatherings and workshops to address the most pressing needs of our member hubs in order to be a sustainable and effective champion of economic development in their localities. We’ve rolled out products like Hub in a Box, a toolkit for sustainable hub development, and Manjaro, a tool that hubs can tap into to generate additional revenue. There is also the AfriLabs Terminal, a platform where verified startup data can be sourced. In addition to these developments, we are also on the cusp of launching programs like Passport and XChange, that will permanently change the face of intra-Africa economic cooperation. This platform is already ahead of what the regional bodies and Continental Africa Union is proposing. While some countries are naturally further ahead than others, every hub presents an opportunity and we like to deal with them as unique subset of the continental innovation landscape. You offer something called the “collaboration challenge” can you tell us a bit more about that? And what types of projects have been a result of this challenge. The collaboration challenge is sponsored by the Rockefeller Foundation and was instituted to engender collaboration in multiple innovation spaces in Africa, with the goal of developing solutions to unique problems leveraging design thinking. For example, IceAddis developed solutions to the lack of mapping data due to the paucity of something as basic as address infrastructure in Ethiopia. The project has begun to yield dividends and we hope to replicate this challenge in Southern Africa later this year. What have been some of the challenges Afrilabs has faced while building up these professional communities? Engagement. Since we are a supra-national organization of organizations, there is an inherent flux in our membership focal points as the natural churn in the organizations that underly our own persists. Our challenge is to ensure that we remain the most relevant organization of hubs and that their staff and leaders continue to seek us even as they change offices and seats. Are there any areas in the African professional ecosystem that you believe need further support? What areas would those be, and how do you plan to offer guidance and knowledge? We believe that we need to support our entrepreneurs with more growth capital that speaks to their needs. To this end, we have been examining the possibility of setting up a replication fund, this unique concept will ID unique business concepts and support them across the eco-system with direct funding and acceleration support through our members. As a major player in the growing tech community, do you think that this will be a major part of the future of Africa’s professional ecosystem, and what do you see for the future of work in Africa? Technology has found a natural home in Africa’s thriving youth population. This technologically savvy generation will soon take over government, companies and families across the continent. The best days of Africa are ahead of her, and we’re excited to be part of this future at AfriLabs. In the small town of Moshi, Tanzania, located on the slopes of Mt. Kilimanjaro, a new project has opened up, Kili Hub. 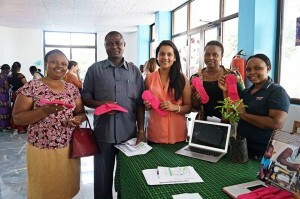 The hub launched in collaboration with Anza, an NGO comprised of an international team. In short, Anza provides support to businesses via a specially curated accelerator program that that is fully aligned with their « social business charter and potential to positively impact the Kilimanjaro region on a large scale ». Although there is currently a large community of NGOs in the region Kilimanjaro, Kili Hub manager, Mary Bantug realized that there was a lack of dedicated work hubs. We caught up with Mary to talk about building community in East Africa, and the positive impact these hubs can have on the local ecosystem. Hi Mary, can you please tell us a bit about Kili Hub, and what inspired the project ? Our aim is to be the center of social change, the hub if you will, of social impact in the area. We’ve invited different NGOs to join us at Kili Hub, and we feel that by having their office here, we’re encouraging that collaboration on a daily basis. We also have events here, such as training, workshops, and work groups, in an effort to cultivate this culture of collaboration and show the community that we’re “not just an office building”, but that the whole of Kili Hub is working together for the community. What’s the professional community like in the Kilimanjaro region? Was there any previous knowledge of coworking or was it a novel concept for most people? As previously mentioned, Moshi is a community made up of NGOS, safari tour companies, many small mom and pop shops and restaurants as well as entrepreneurs. Because it’s a very small town, that “buzz” you might feel from large cities, such as Nairobi or Dar Es Salaam, is just not there. From my own research and conversations had within the community, I see that the culture of “working together” is definitely there, but a formal coworking space where that is encouraged is still needed. What were some of the things lacking, if any, in the professional community? In your opinon, how does coworking meet those needs? There isn’t necessarily that culture of “formal collaboration” and we aim to provide that. What I mean by formal collaboration, is a more the proactive push towards a culture of working together with the intent of looking for new ways that our efforts can align instead of just when need arises. A coworking space addresses this informality by raising awareness of the skills and knowledge available in the community. Through this approach, resources can be mobilized more efficiently and help to increase impact. What steps did you take in order to introduce the community to coworking? Did you host events, make partnerships, etc? We’ve held several events in late 2015. First we had a launch event in September and invited the community to come visit the Hub, to see the space and meet others in the who are doing similar work. We also held a few networking events for the professional community, in addition to smaller ones, such as happy hours and documentary nights. Are you considering the possibility of networking with other spaces throughout the continent? Yes we are! We have contacts with Impact Hubs in East Africa and are aware of the more independent coworking spaces in the region. Once more established, we are looking towards possible partnerships.